Their very name indicates admission or entrance. A passport—from the French passer la porte, or pass through a port—is a document that allows a person to pass from one country to another, from world to another, even from life to another. We’ve heard of two instances in the last month in which people have tried to use such documents to gain entrance to new countries, new worlds, new lives. Just days after officials determined that two passengers aboard Malaysian Airlines flight 370 had been traveling under stolen passports, police in London, Ontario, arrested three people for allegedly using fake passports to write exams on behalf of other students. The incidents are of different orders of magnitude in terms of potential threat, but both events indicate the power of these small documents to open doors and allow passage. No evidence exists to suggest the two men who boarded flight MH 370 with stolen passports had anything to do with the airplane’s later disappearance. Investigations indicate the Iranians travelling as Christian Kozel of Austria and Luigi Maraldi of Italy had no known links to terrorist organizations, and may have just been trying to get out of Malaysia. 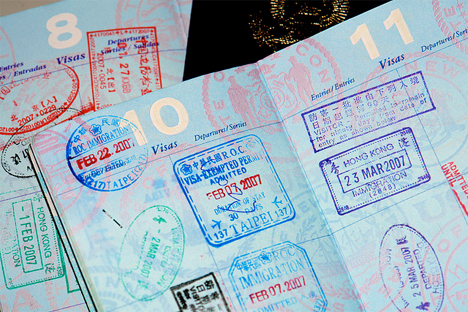 Both passports had been listed in INTERPOL’s database of stolen passports. It may be we will never know the truth in this story. The story of the surrogate students caught using fraudulent passports in Ontario is clearer, however. They were writing English proficiency exams for foreign students applying to attend university in Canada. Canadian colleges and universities use the exams to evaluate prospective students’ ability to read and write in the language of instruction. Students must pass the exams before their applications are accepted….